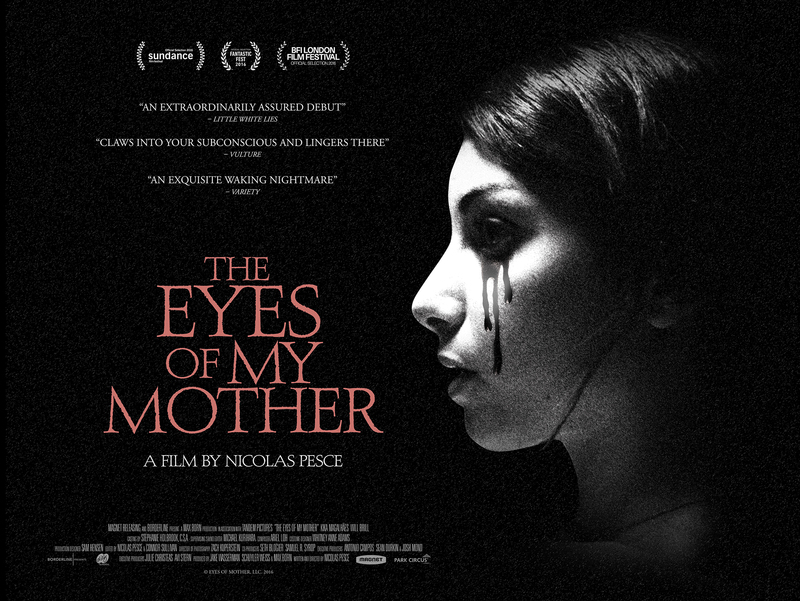 Park Circus has today announced that it will release the critically acclaimed American gothic horror THE EYES OF MY MOTHER, directed by Nicolas Pesce, in UK cinemas on 24 March 2017. Francisca (played by Kika Magalhaes in a breakout performance) has seemingly been unfazed by death from an early age – her mother, formerly a surgeon in Portugal, imbued her with a thorough understanding of the human anatomy. When tragedy shatters her family’s idyllic life in the countryside, her deep trauma gradually awakens some unique curiosities. As she grows up, her desire to connect with the world around her takes a distinctly dark form. Next Next post: Jessica Cameron’s TRUTH OR DARE finally gets US release from Invincible Pictures.